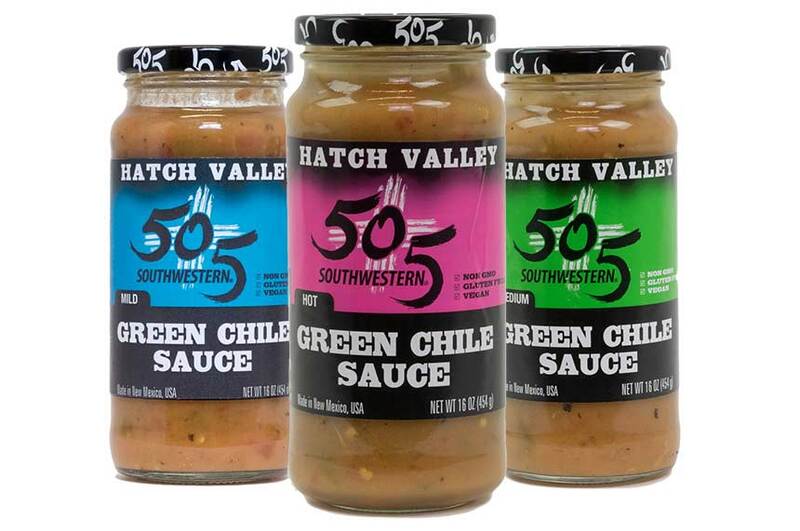 Our Hatch Valley green chile sauce is our own special recipe designed to help create your own dish using pork, chicken or beef in a skillet or a crock-pot. Our secret weapon, Hatch Valley green chile, adds flavor to our sauce to help you create your own great dish without you having to cut everything up. Ingredients: Hatch Valley green chile, tomatoes, onions, rice flour (as a gluten-free binder), lime juice, garlic powder and salt. GMOFree, Gluten Free, Allergen Free, Preservative Free. Available in 8oz, 16oz and 40oz glass jars. Instead of making our red chile sauce with chile powder, we use the finest Hatch Valley red chile pods to deliver abundant taste. To achieve an authentic New-Mex taste, we use oregano to give it an original dusty and earthy flavor. This makes our red chile sauce the best of the best. Ingredients: Hatch Valley red chile pods, water, rice flour (a gluten-free binder), lime juice, garlic gloves, oregano leaves and salt. 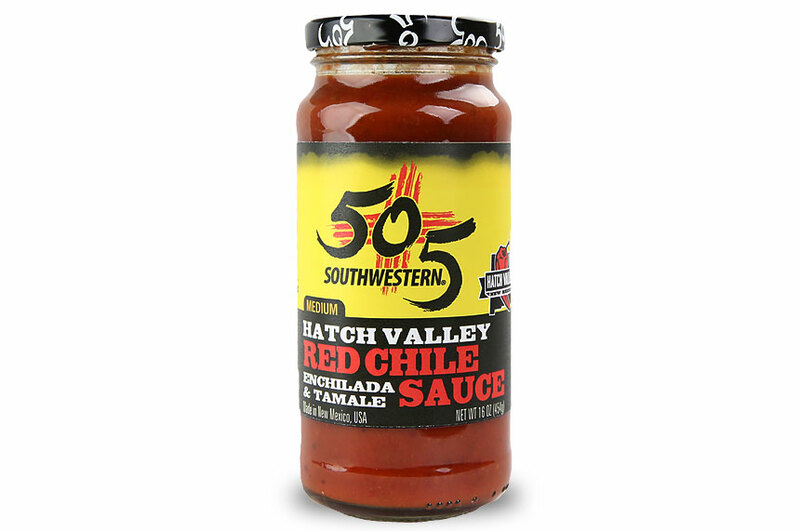 Primary Usage: 505 Red Chile Sauce is fantastic with enchiladas, tamales and is great baster on chicken, beef, or pork.